Mulberry will be releasing a limited edition bags and scarves for the Chinese New Year. The capsule collection includes Mulberry’s signature handbags, such..
Mulberry Is Having A Winter Sale! Mulberry is currently having their Winter Sale! The bags goes on sale up to 35% off, which includes previous season designs, as well.. 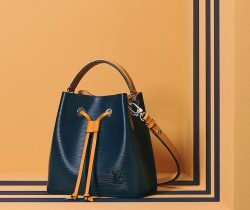 Introducing the Mulberry Harlow Satchel Bag. This latest design from Mulberry features a top handle satchel with a double flap front closure. It..
Sale season is going on full swing. Mulberry is also having a sale with their Spring 2018 Collection. Handbags, clothing, shoes and accessories..